Written by Steve Burge on April 18, 2018 . This add-on automatically sends notifications before or after content is published. 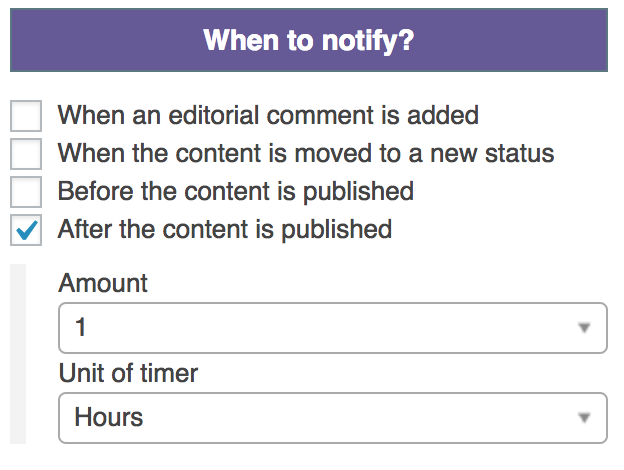 This is a very useful feature for any website that needs their writers to follow a standard approach. 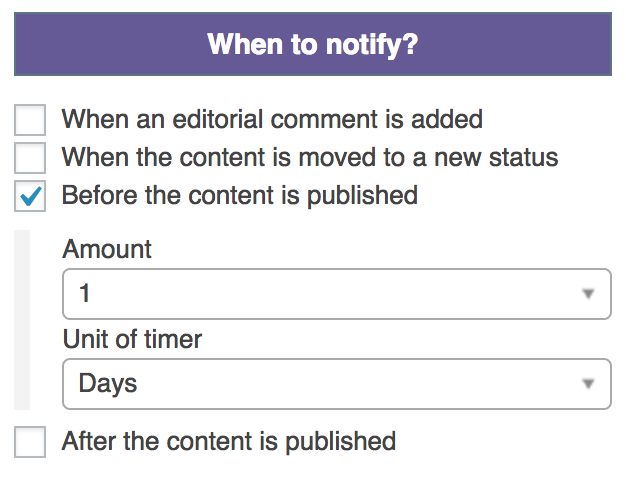 Use the Reminders add-on to keep your team on track with useful notifications at every stage of the publishing process. In the weeks before publication: Send emails to the authors, explaining your editorial process, giving them deadlines and instructions. 2 days before publication: Send a reminder to your editors, asking them to proof-read the post for publication. 2 or 3 days after publication: Send a reminder to various team members, asking them to promote the post on social media. 6 months after publication: Send a reminder to the author(s), asking them to check the post again and make sure the content is still valid.